Bio: After coming from Colombia to New York then New Jersey, she ended up driving 3 hours north to Cornell! Throughout her time she struggled to find an activity that mixed performance and music until she found Yamatai! After seeing Yamatai's strength and energy she knew she had to join the team. She tried out twice for the team and her sophmore year she finally made it! 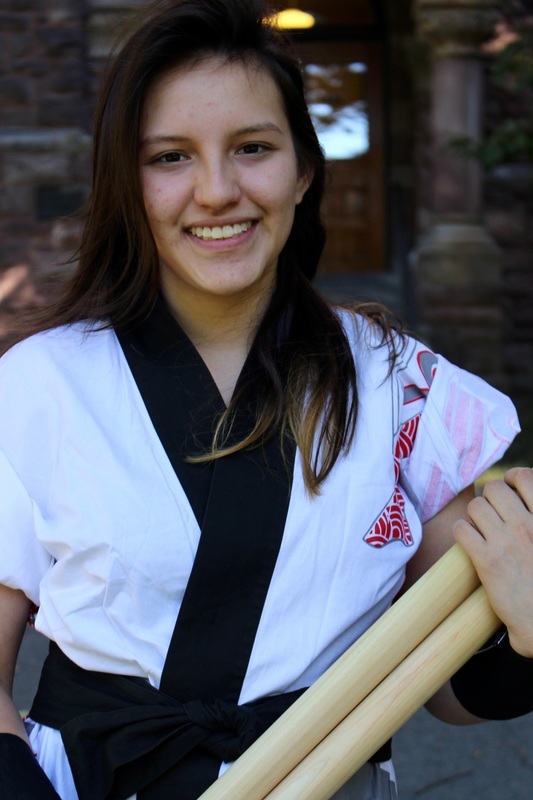 Now, she loves playing Odaiko and studying her nights away. Favorite Activities: Sleeping, drumming, dancing, hiking, swimming, anything outside (assuming its not -20degF), and writing. ​Interesting Facts: I love metal music, smash (melee), and bethesda. If I could, I would: Travel for the rest of my life, be a student forever, and eat twizzlers for breakfast everyday.